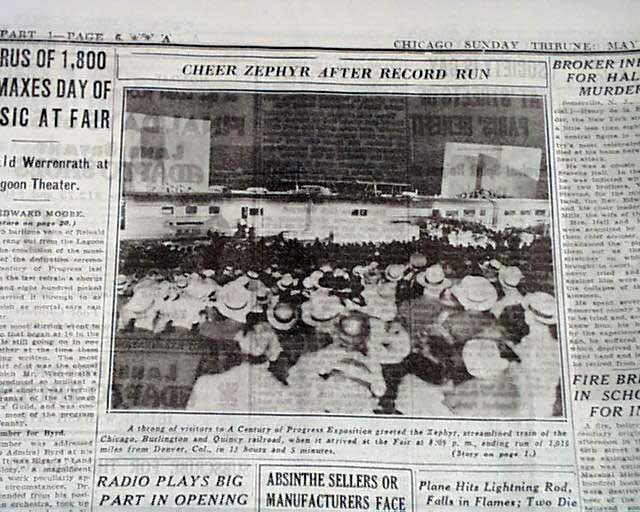 * Pioneer Zephyr "The Silver Streak"
The front page has a one column heading: "ZEPHYR TRAIN BREAKS RECORD IN RUN TO FAIR" with subhead. 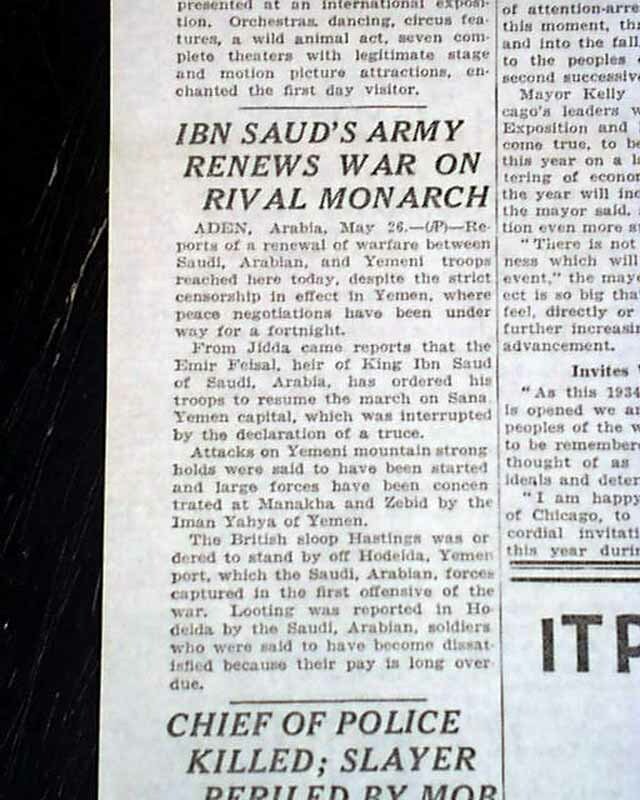 (see) Related photo on page 6. 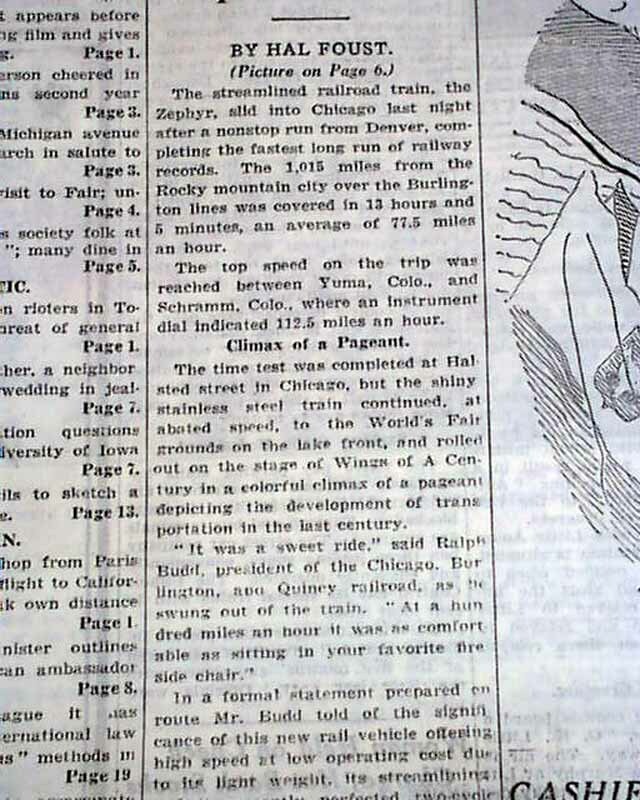 First report coverage on this record setting journey. See below for details. 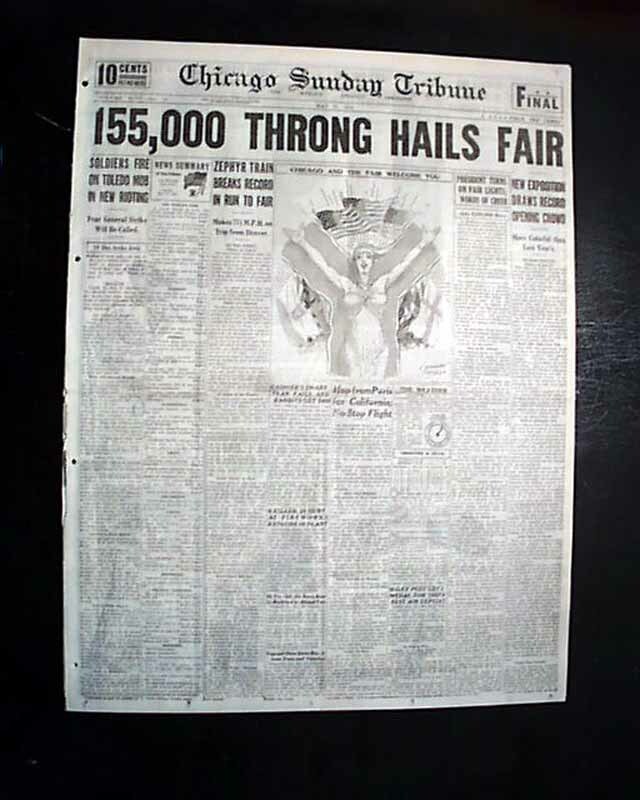 Great to have from the city where the record was broken. 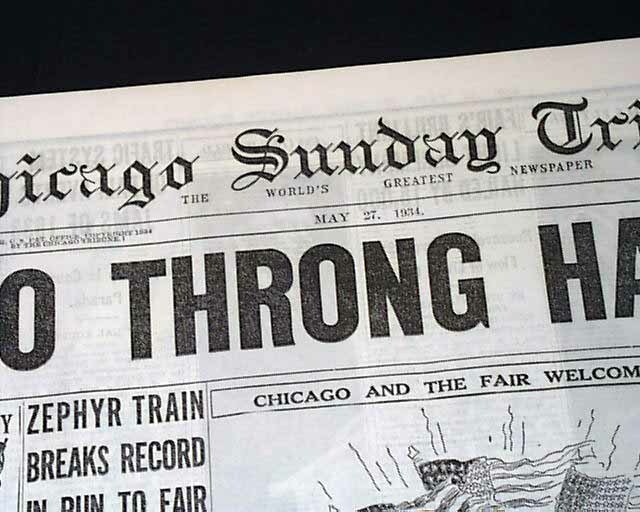 Complete 1st section only with all 30 pages, this is the "rag edition" printed on very high quality newsprint meant for institutional holdings. In great condition as such, a few small binding holes at the blank spine. 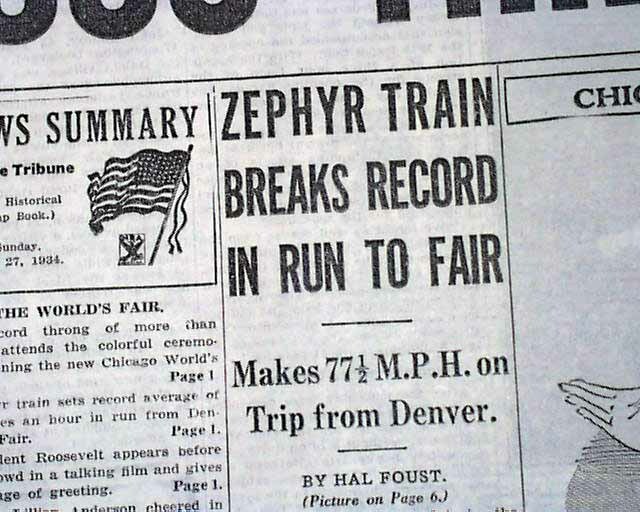 wikipedia notes: On May 26, 1934, the Pioneer Zephyr set a speed record for travel between Denver, Colorado, and Chicago, Illinois, when it made a 1,015-mile non-stop "Dawn-to-Dusk" dash in 13 hours 5 minutes at an average speed of 77 mph. 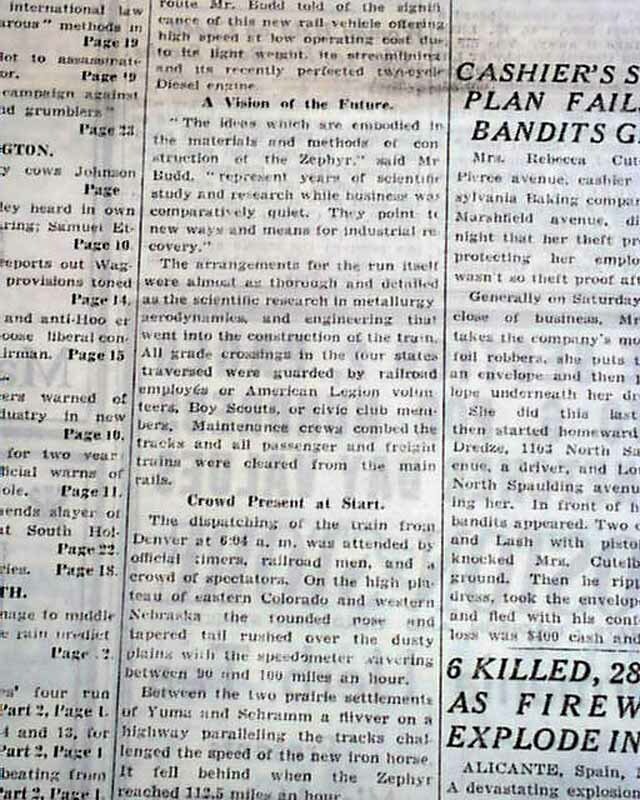 For one section of the run it reached a speed of 112.5 mph, just short of the then US land speed record of 115 mph. 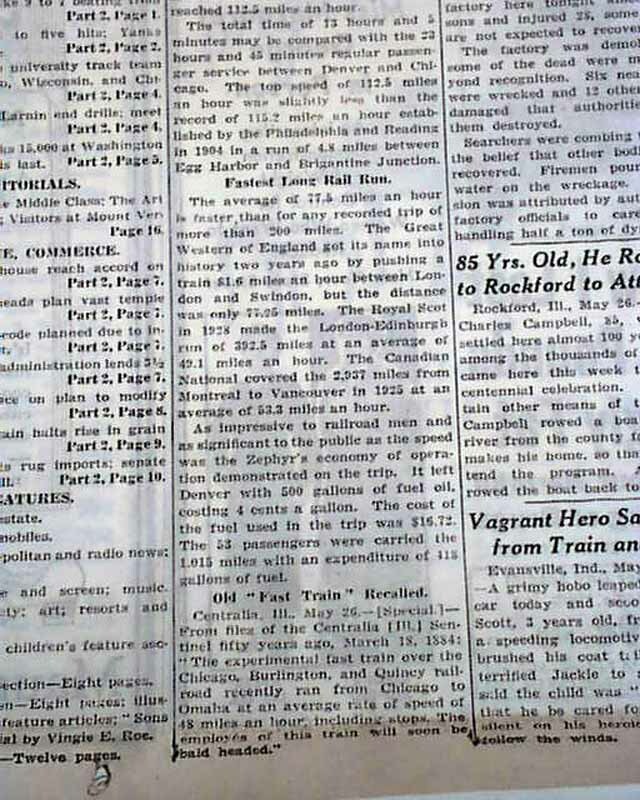 The historic dash inspired a 1934 film and the train's nickname, "The Silver Streak"